Described by Frommer's as "one of the most attractive towns in Alsace," Colmar is situated in east-central France, in a border region that was once disputed between France and Germany. In the morning start from Strasbourg and drive to the city of Colmar. Follow your guide and discover through a privatized guided walking tour all the most significant monuments and attractions that this beautiful town has to offer. The city is renowned for its well preserved old town, its numerous architectural landmarks and its museums, among which is the Unterlinden Museum with the Issenheim Altarpiece. 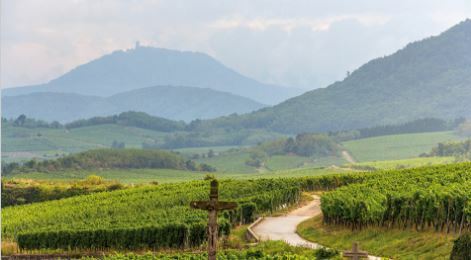 After some free time for personal discovery and lunch, follow the Alsace wine route and participate in several wine tasting sessions in authentic 'Caveau', the local name for wineries. During the afternoon, you will have the opportunity to taste the many different grape varieties that are used to create Alsace wines: Pinot Blanc, Pinot Gris, Muscat, Gewürztraminer, Riesling, and Sylvaner.